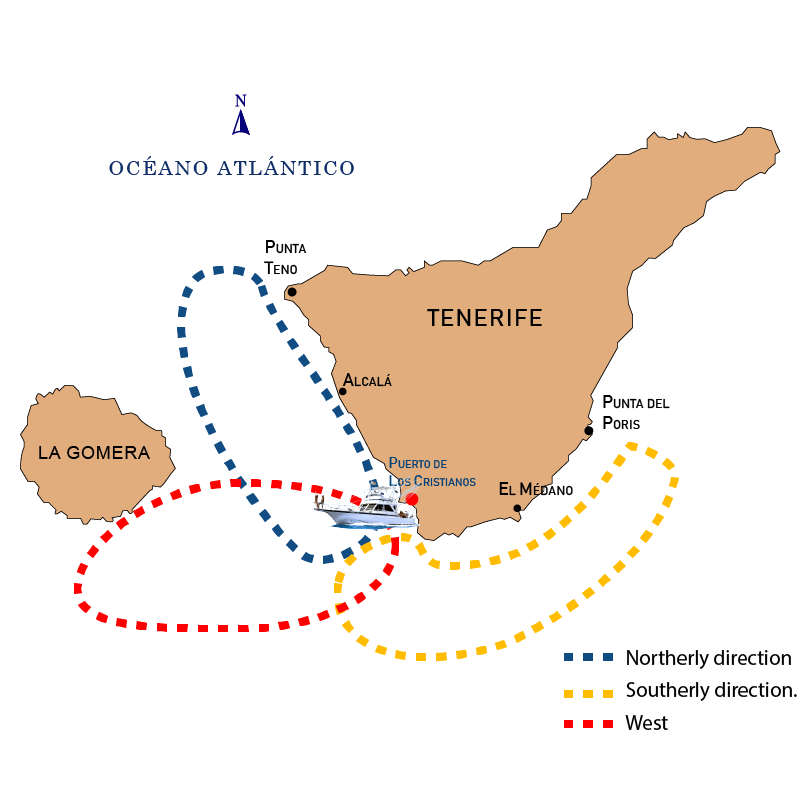 We sail from los Cristianos at 10 a.m. 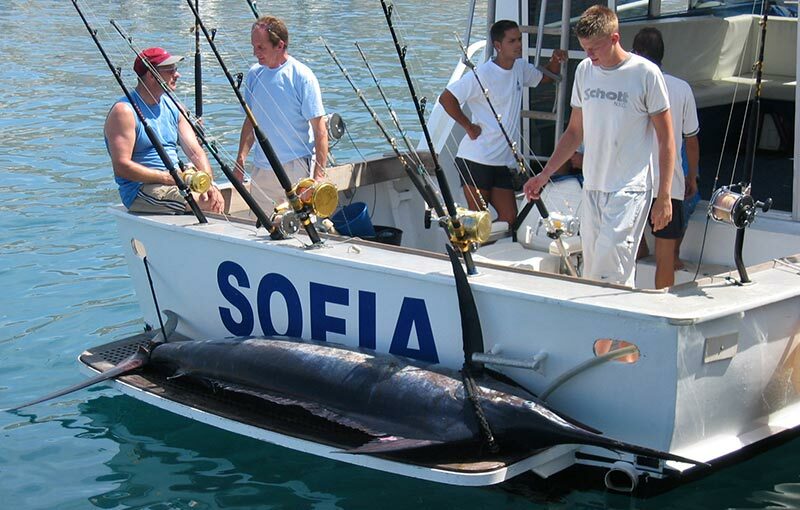 According to the weather conditions and the areas of best chances of fishing, the captain of the yacht Sofia will take North, South or West route up to 25 miles off the coast. 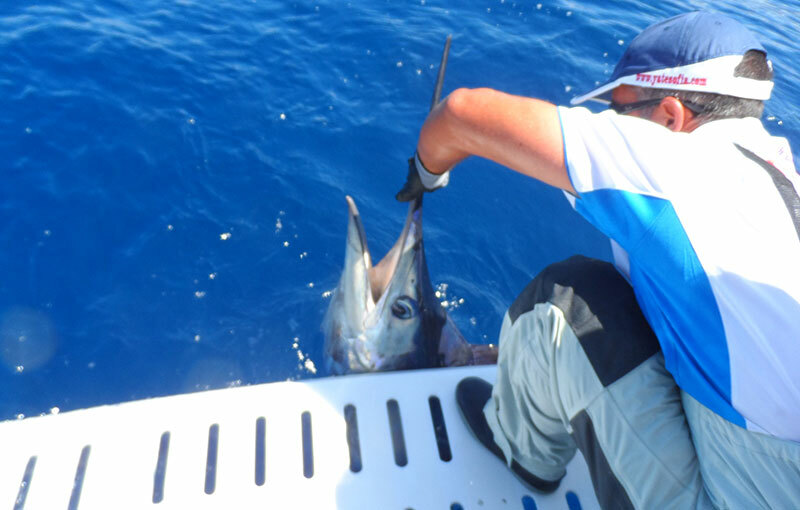 The journey is shared with other fishermen, and on board staff, with duration of 7 hours. 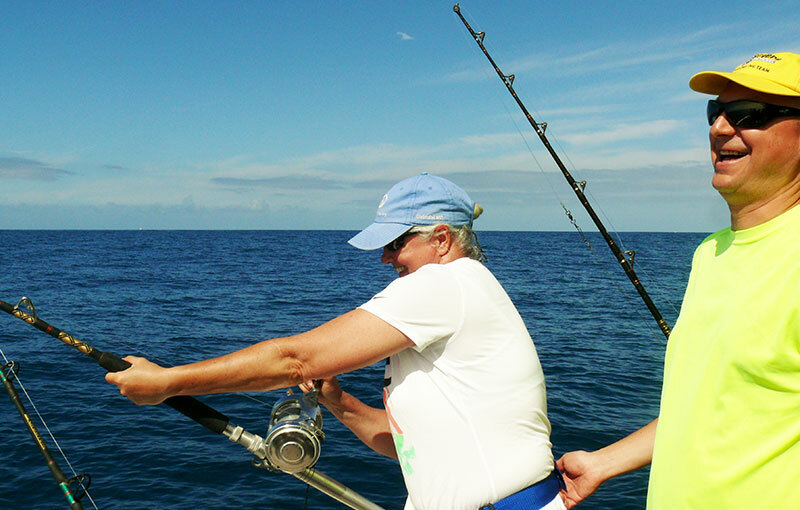 On the full day trip we combine two different activities; big game fishing and deep sea fishing. Every fisher are supplied with two rods; one heavy weight and one light weight. Of course, They can also bring their own equipment if they wish. 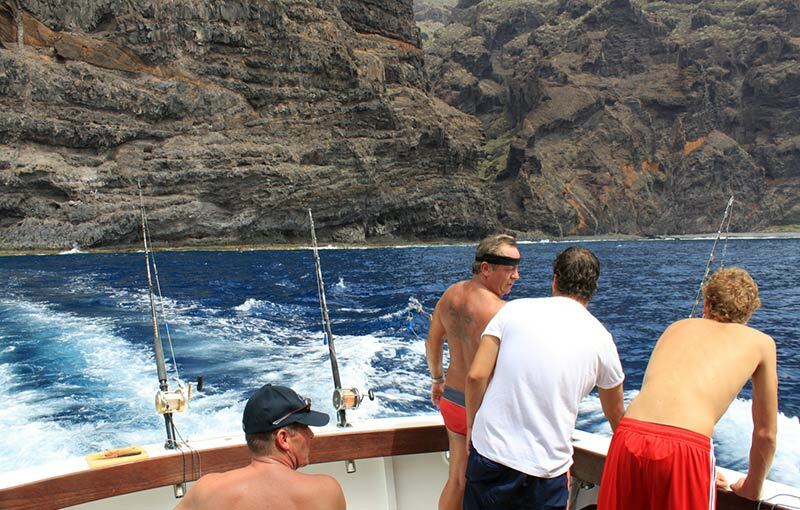 We will start off with 4 hours of big game fishing searching for Marlin, Tuna, Bonitos, Dorado etc. 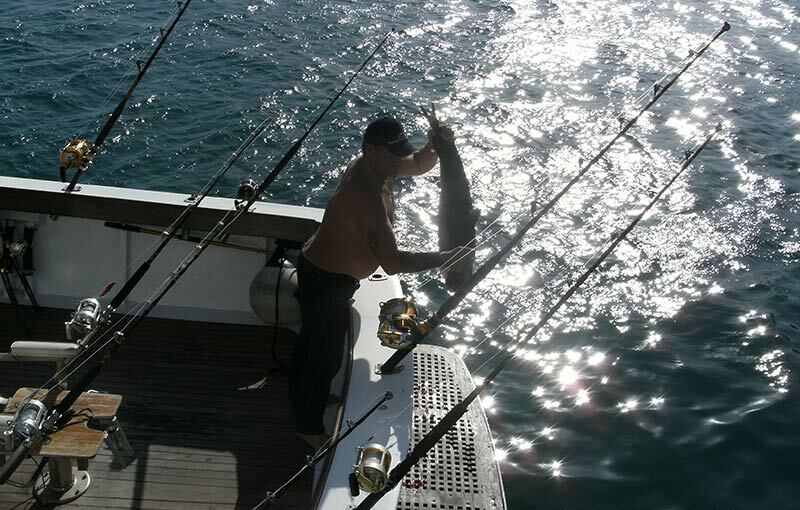 Then we change to deep sea fishing with fresh bait up to depths of 20 to 120 meters approximately, searching for flat fish, snappers, jacks, sharks etc. On board we have high quality equipment for large hauls, sonar and GPS. 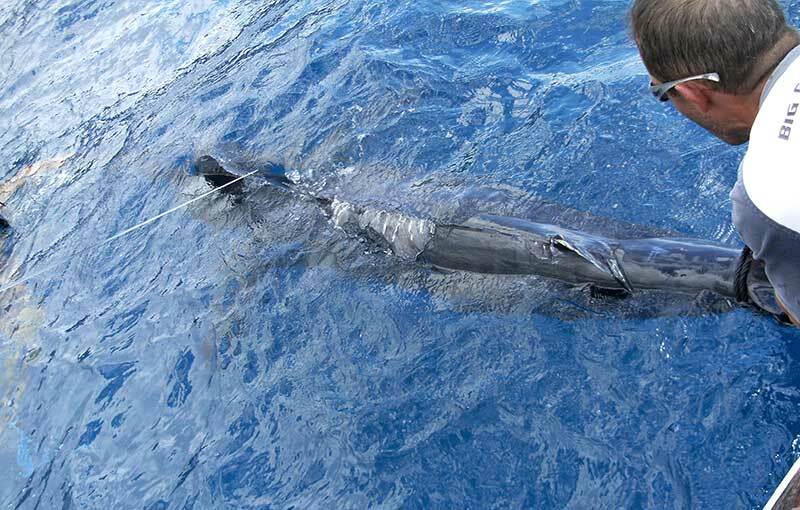 Depending on the species and size of the fish, we practice a catch and release policy.